In the past decade, the performance sedan segment has become increasingly competitive and therefore increasingly important to car manufacturers. While dedicated sports coupes may get most of the attention, the mix of practicality and performance offered by sedans translates to meaningful sales in the showroom. Enter Acura’s bid in the segment, the 2008 TL Type-S. Highlighted by a powerful V-6, the TL Type-S is a well-delivered front-wheel drive sports sedan that works as well as a daily commuter or family-mover as it does on a twisty back road. Loaded with standard features at a more than reasonable price, the TL Type-S offers a lot of bang for your automotive buck. 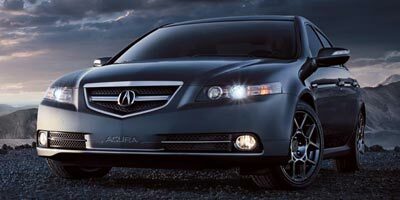 The Acura TL Type S offers good interior quality and comfort, along with sporty dynamics and aggressive aesthetics. Standard satellite navigation with live traffic can be a lifesaver for the everyday freeway commuter. The TL Type S is fitted with stiffly sprung sport-tuned suspension for improved handling, but over choppy surfaces such as patched asphalt in downtown areas, the stiff suspension can be harsh and cause torque steer while accelerating. A practical balance of everyday usability and performance-oriented dynamics is the best way to describe life behind the wheel of the Type-S. Thanks to VTEC valve lift, the 3.5 liter V-6 has a powerful top-end charm that constantly tempts you to push it towards the redline. Formula One wannabes will immediately appreciate the automatic transmission’s paddle shifters, which make sorting through the gears about as easy as clicking a mouse. Torque steer isn’t too problematic as long as the traction control is activated, but with it off, too much enthusiasm with the go-pedal at low speeds – especially with a manual transmission – will see you inadvertently shifting lanes, while pinning the throttle mid corner will induce mild but controllable understeer. While the standard TL comes with a 3.2-liter V-6, the Type-S receives a larger, more powerful 3.5-liter V-6 with VTEC, which produces 286 horsepower and 257 ft-lb of torque – numbers that translate to strong acceleration and passing ability at any speed. While the mid-sized TL’s mass keeps the engine from being too much of an eye-opener before VTEC kicks in, once it does, the V-6 pulls smooth and hard, with linear power. Customers can opt for either a six-speed manual transmission or a five-speed automatic at no extra charge. The TL Type-S comes with just about everything you’d want standard, including a navigation system, an eight-speaker 225-watt sound system, steering wheel controls and seat heaters. In fact, the Type-S comes with so much standard equipment that the interior options list only allows the addition of a few bits of faux carbon fiber and some floor mats. Acura’s navigation system is one of the best in the business, offering real-time traffic and Zagat reviews which drivers can browse and – with Bluetooth integration – use to dial restaurants directly through the car’s stereo. Being as the TL is fitted with a 3.5-liter V-6, we weren’t expecting fantastic fuel economy. However, as long as you can control the drag racer within you, the TL will return decent fuel economy, especially on the highway where the engine cruises at low rpm. The Type-S earns 18 mpg in the city and 27 mpg on the highway, though it doesn’t receive the ULEV-2 emissions rating the 3.2-liter model enjoys. The TL Type-S subtly displays its sporty demeanor on the inside, with a carbon-fiber finish on the console and two-tone leather seats with Type-S graphics. The red and bluish-white gauges are a pleasure for the driver to look at, while the center console is dominated by Acura’s large, 8-inch navigation screen. The exterior of the Type-S has some subtle yet aggressive style reworks over the standard TL, including a rear deck lid lip spoiler, enlarged quad-tip exhausts and 17-inch 10-spoke wheels which show off the large Brembo brakes. With pricing starting at $38,225 and few options to increase that number, the TL Type-S is quite a bargain in the world of midsize performance sedans. It significantly undercuts midsize luxury competitors such as the Infinity M and BMW 5-Series while maintaining similar build quality. On a value per dollar basis, it’s hard to concoct a case against the Acura TL Type-S. Nothing else on the market offers as much luxury, space and performance at this price. It might not be the best driver’s sedan, but for all but the most committed of track day enthusiasts, it’s more than competent.